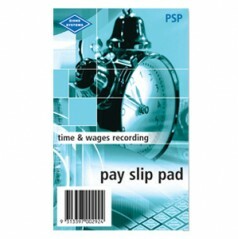 Suitable for up to 17 employees per year. Pocket size version of the No. 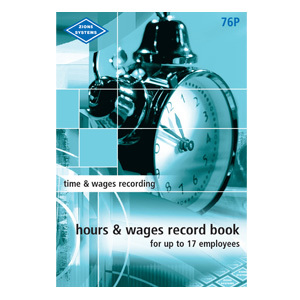 76L and 76M Hours and Wages Record Books. Used by foremen etc. 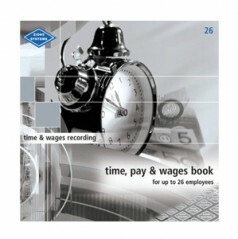 to record work times, employee hours etc. spent on job(s) or various locations. 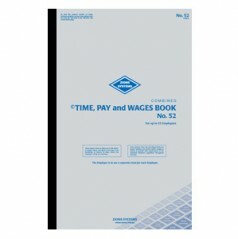 Laminated cover, wire stitched book, 26 pages lasts half a year, 19 lines (names) per page. 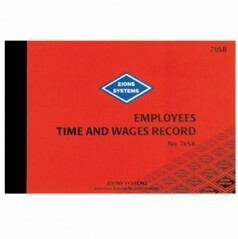 Records the total hours spent per day against each name and provides for calculation of individual pays (or labour costs).